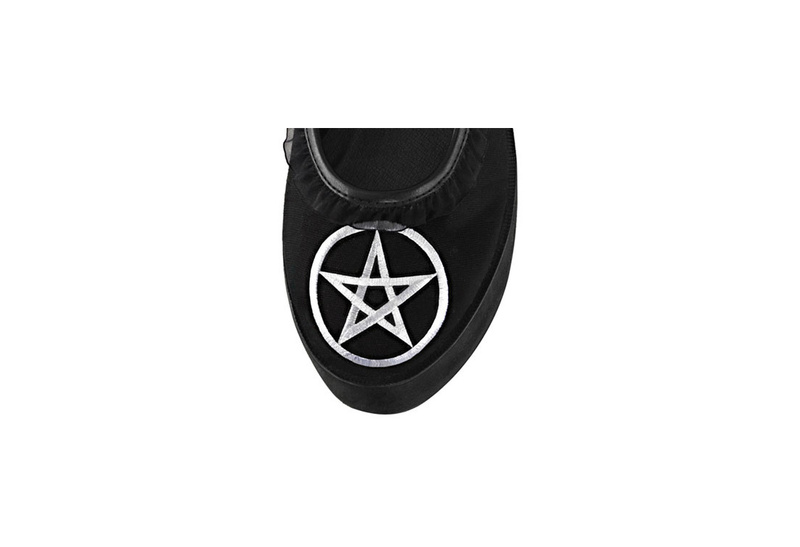 These awesome platform Mary Jane shoes have an embroidered pentagram on the toe. They have ruffle lace trim, a single buckle strap with pyramid studs and a 3 1/4 inch platform. By Demonia.